Defenceman Ben O’Connor says there’s a real sense of anticipation at Great Britain’s training camp in Coventry as preparations continue for next week’s World Championship in Budapest. A 28-man squad has undergone two on-ice sessions a day ahead of two matches with Lithuania this weekend. The two sides meet in Milton Keynes on Saturday (7pm) before going head-to-head in Coventry’s Skydome on Sunday (5:15pm). The squad will then be cut to a 23-man roster to to represent Great Britain at the Division I Group A tournament in Hungary. “Every GB training camp is always intense but this one feels even more so,” said the Sheffield Steelers blueliner. “The carrot being dangled is a place on the roster at a second-tier World Championship playing some of the best nations in the world. 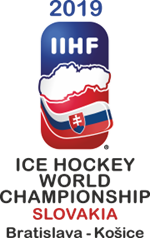 GB’s World Championship campaign gets under way in Budapest a week on Sunday against Slovenia. They will also face Kazakhstan, Poland, Italy and Hungary in the six-team tournament, with the top two teams being promoted to the top flight of the World Championship.